A pleasant surprise about a flat roof drain on a commercial roof we installed more than 15 decades ago. After so many years I am still amazed how well it performs. The owner never bothered to keep the roof clear of leaves and small twigs, but the drain performed as it was intended to. All flat roofs with internal drains should have this sunken base drain. We could still improve on it by lowering it more. But the principle we applied help for less maintenance and a roof that would last much longer. 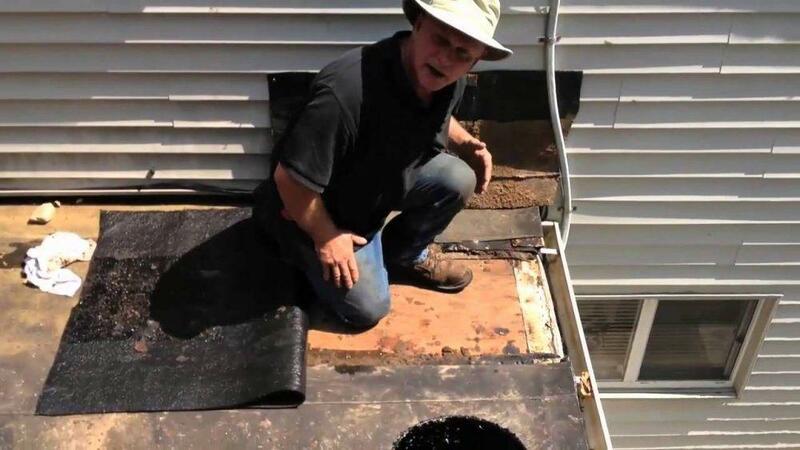 Watch the video demonstrating a flat roof drain basin. This roof drain system should be on all flat roofs with internal drains. 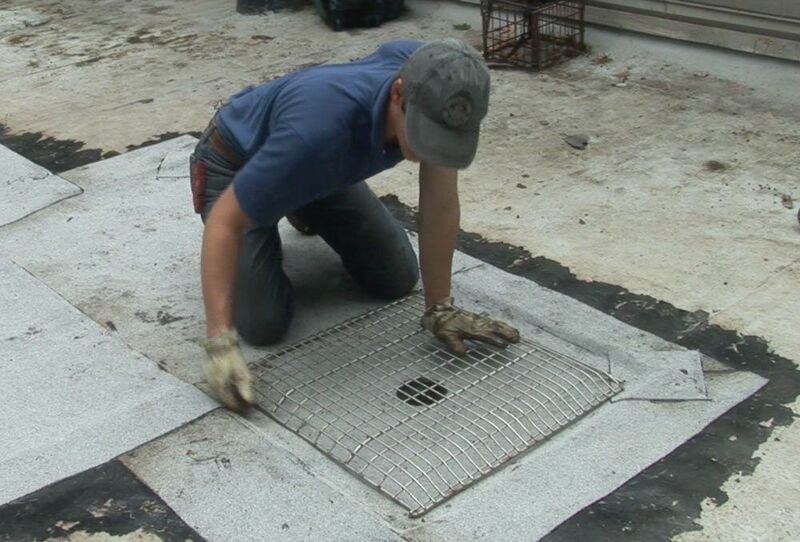 Flat roof drains are the most critical components of any commercial roof. Drains are responsible for removing water quickly and efficiently. The strainers over drains are what causes the biggest problem. Most of the time, strainers that come installed with a drain are not well designed. There are several ways you can improve the effectiveness of a drain system. We designed a roof drain system that is very effective and practical. 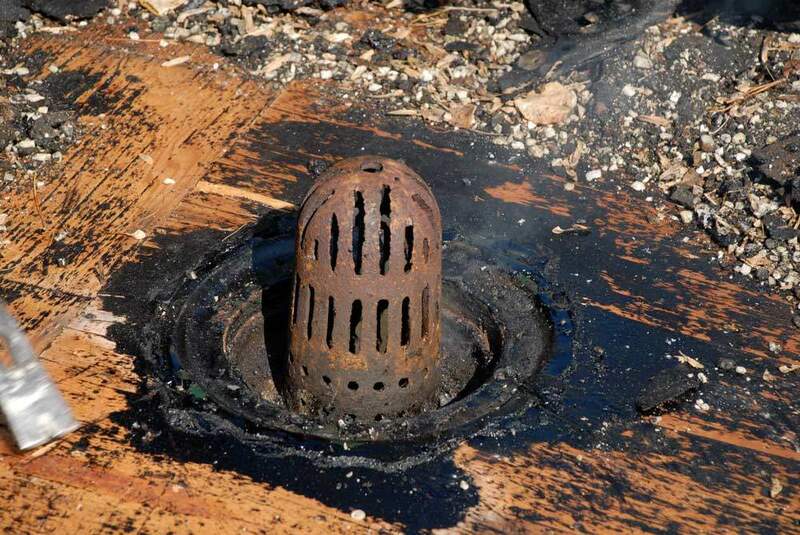 The most significant problem for flat roof drains is debris that collects around the strainer. It is inevitable to happen, especially if nearby trees or branches are overhanging the roof. In most cases, it means someone has to clear the roof and the strainers continually. 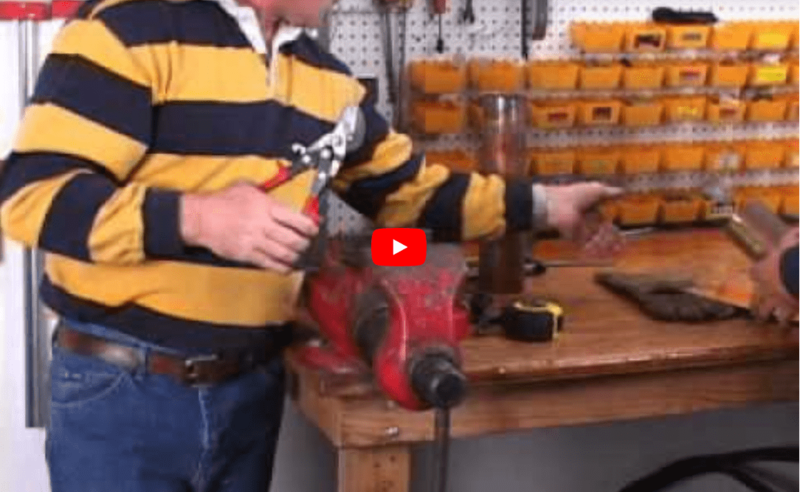 With our video, we demonstrate how to improve an existing drain. With this type of improvement, most drain problems can be solved and increase the roof’s life expectancy. 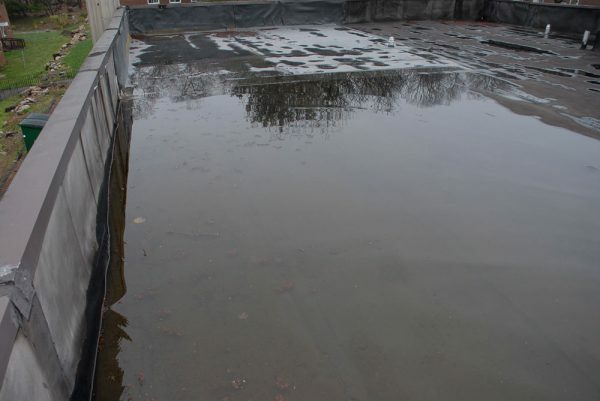 Standing water on a flat roof can lead to material degradation and cause major leaks. 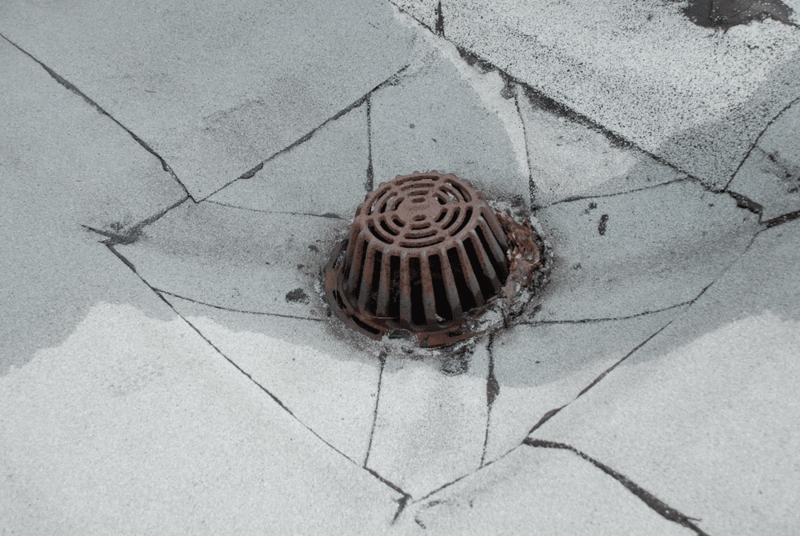 In this 3D video, we illustrate how effective a drain can be by lowering it. This kind of improvement can cost as much $2,000 per drain but in the long run, is worth it. It will save the roof and prevent leaks. 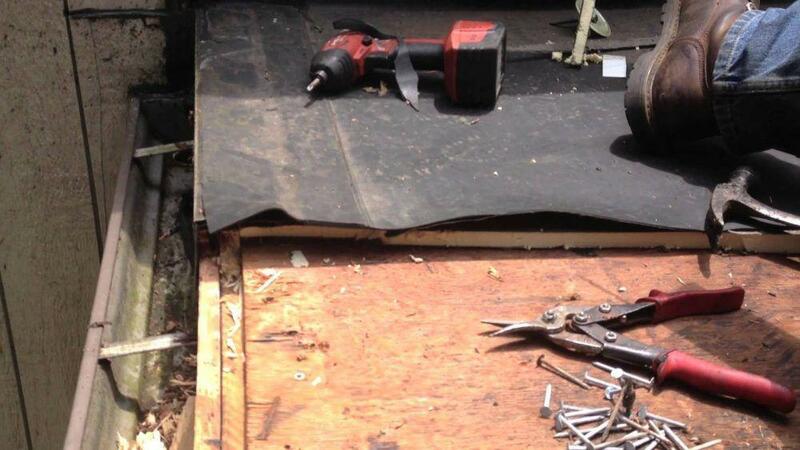 To cut a square area of the roof decking away around the drain. 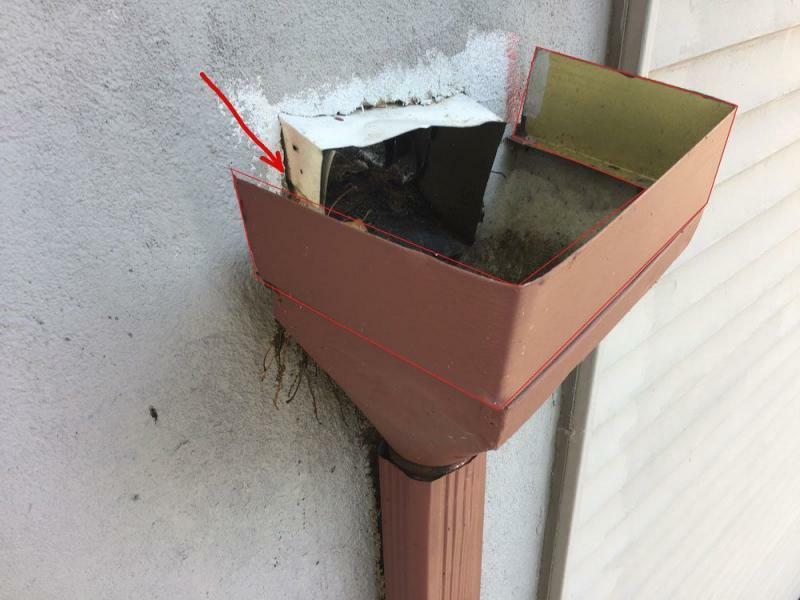 Then shorten the drain pipe and reconnect the pipe to the drain. After the roof is reconnected to the drain, water can freely flow into the drain. 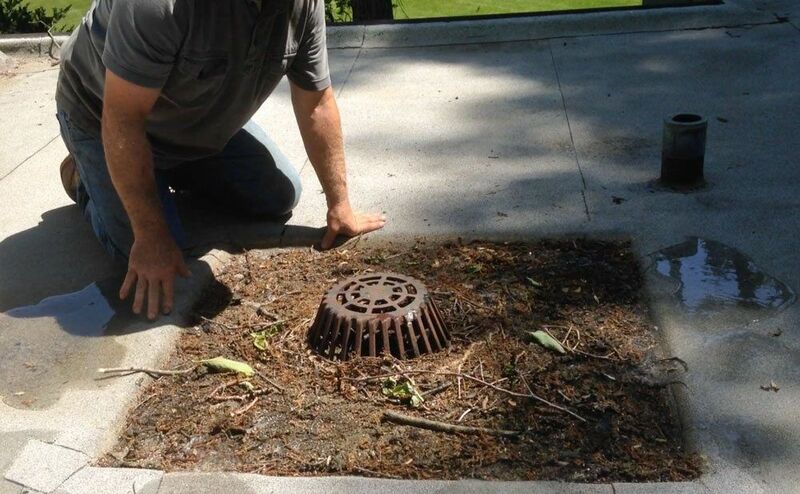 The debris can accumulate in this drain basin and the water can still flow freely through the strainer. It is important that the strainer has large enough slots so smaller debris can get through. If the slots are too small, then small debris will end up clogging the strainer and water will be prevented to flow freely. There are conditions on a roof that is not practical to lower a drain as illustrated in the videos above. If that’s the case, then an alternative solution is to fabricate a large strainer that will fit around the drain. The design and configuration of a strainer are critical. A strainer with small holes or slots will collect fine debris that will clog the strainer to quick and cause water to pool or back up. A strainer should allow small debris through and only keep back larger debris like twigs and objects that could get stuck in a drain and cause a blockage. Watch the video on how strainers on a drain can make the difference. Watch the video to see how a larger strainer around a drain can be effective. In this video, we were able to lower the roof only a few inches but made a large strainer with a low profile. When debris accumulates around the strainer and starts preventing water through, the water will rise slightly to flow over the strainer into the drain. Drain strainers on a roof are very important and careful consideration should be given to the size, materials it’s made of and the slot or hole sizes. There are basically 3 types of drainage options for flat roofs. This is very obvious that this drain wasn’t cleared for a long period of time. The sad part is that the roof got compromised. Notice all the ripples in the membrane. The pitch of the roof is perfect towards the drain and the drain is positioned perfectly. The strainer had too small slots or holes so that small debris could not get through and or that no one kept it clear from debris. The filter on the drain in the image dates to the early 1900s. The irony is that many of these drains and filters still exist in older buildings. When a re-roof is called for, most of the time drains don’t get replaced. The reason is that it is attached to an existing pipe and to replace the drain would take too much time and become costly. 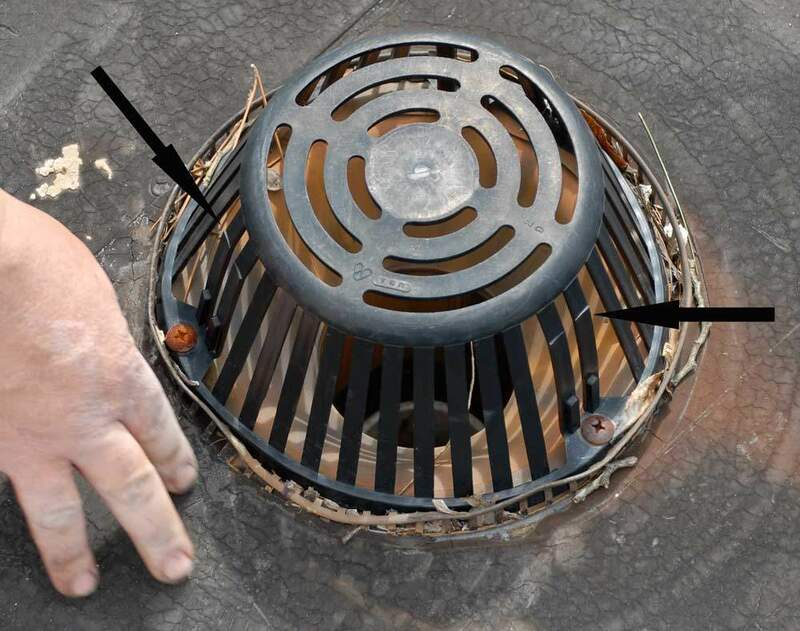 In the image above where the plants are growing on the roof, this type of strainer was in place. This is the worst type of strainer on a drain. The plastic gets brittle due to the ultraviolet lights and heat on the roof and cracks after a few years. Replacing these strainers are a must to avoid future drain blocking. Notice the drain is lower than the rest of the roof surface. When we re-roofed this roof, we used the opportunity to lower the drain. The top of the strainer dome is level with the rest of the roof surface. This is a perfect example of how it should be done. it is very important to use metal strainers. If the roof is covered with snow, the drain will be hidden. When someone removes and shovel snow, they will damage the strainer or break it if it’s not metal. Notice how the twigs have accumulated around the drain. This is an excellent example of how well this drain system works. 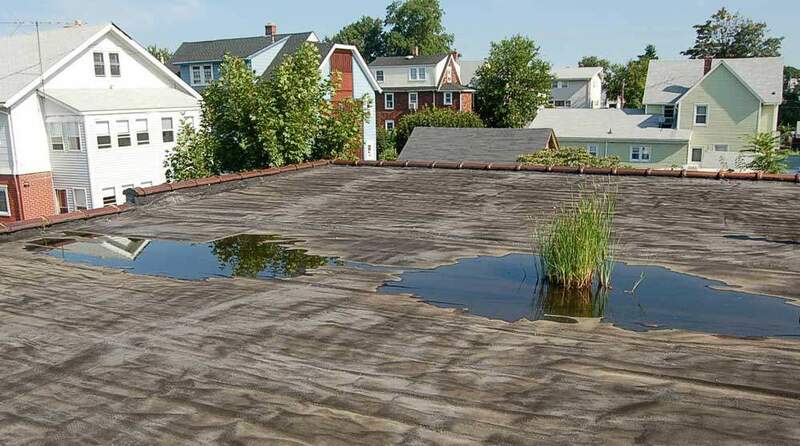 The rest of the roof is clear and most of the debris is in the drain basin, yet the water could still drain out without pooling up on the rest of the roof. When it is not practical to lower the drain considerably, then another option is to make a large strainer. The strainer should have a low profile so when debris collects around the strainer and clogs it, then water can still flow over the strainer top side and flow out.